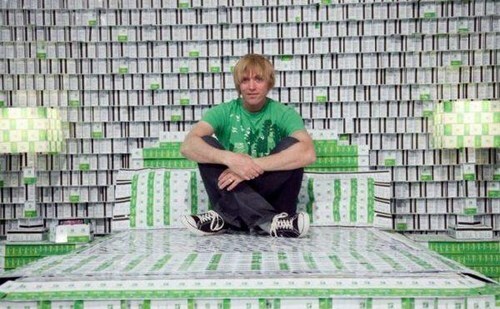 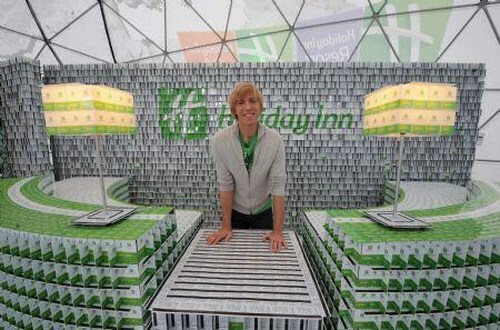 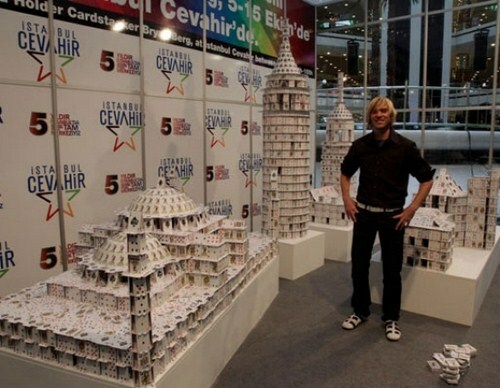 Bryan Berg was introduced to card-stacking by his grandfather at the age of 8. 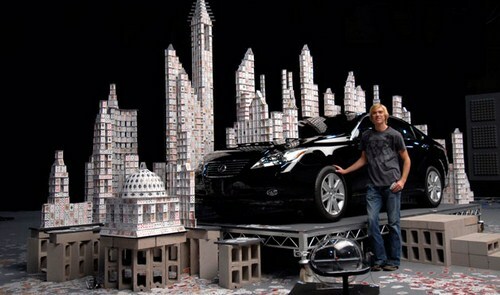 He is a self-taught artist in all of the techniques he uses today. 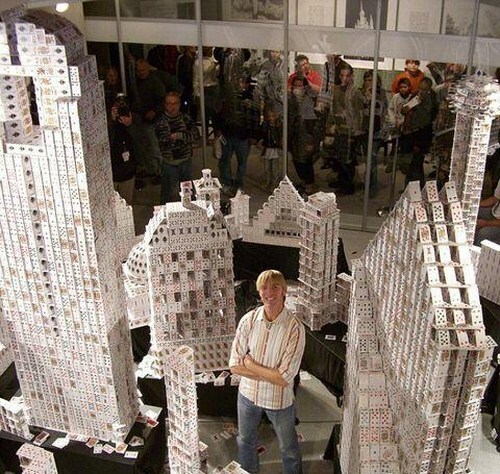 Berg's freestanding card structures are based on a grid-like arrangement, which Berg tested in a structural engineering lab to support 660 lbs per square foot - using no tape, no glue, no folding, and no tricks. 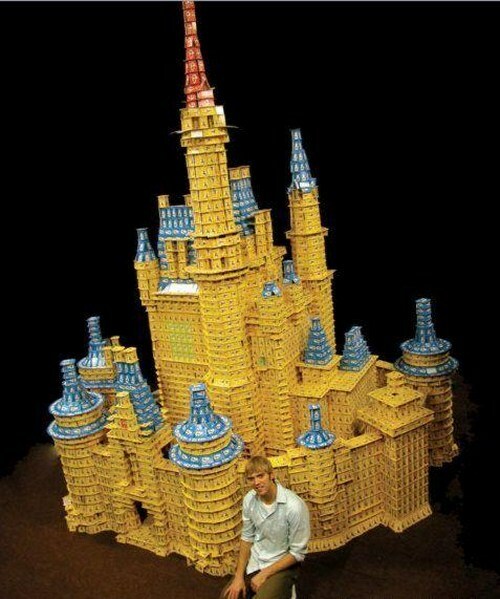 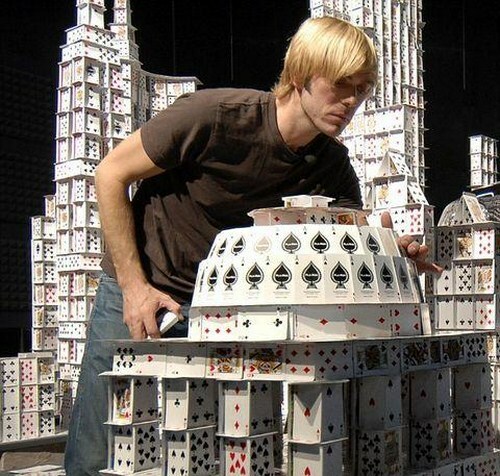 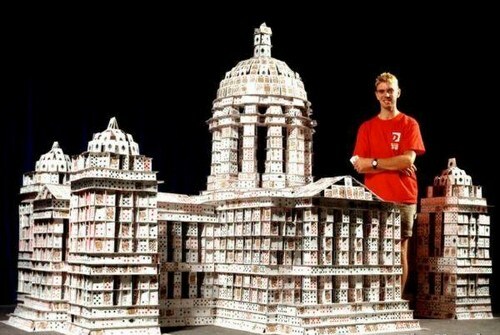 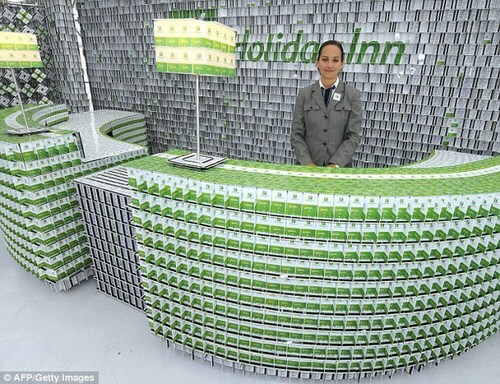 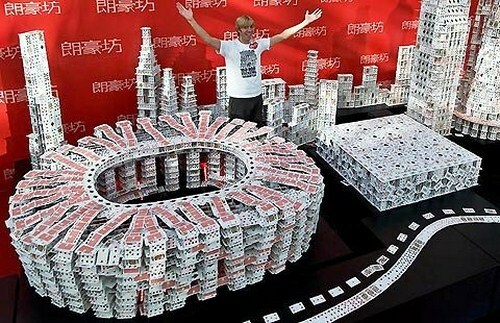 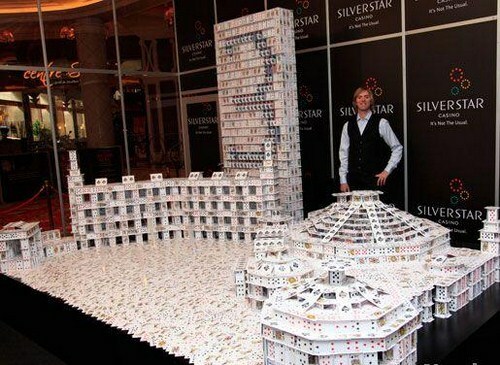 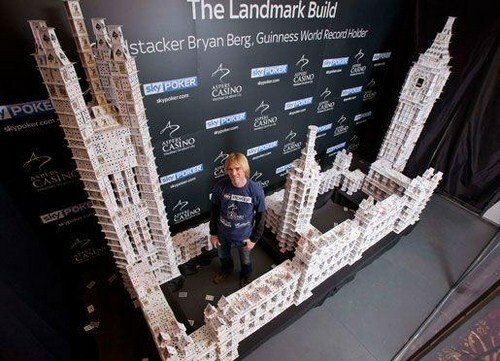 Berg has held the Guinness World Record for the Tallest House of Freestanding Playing Cards since 1992. 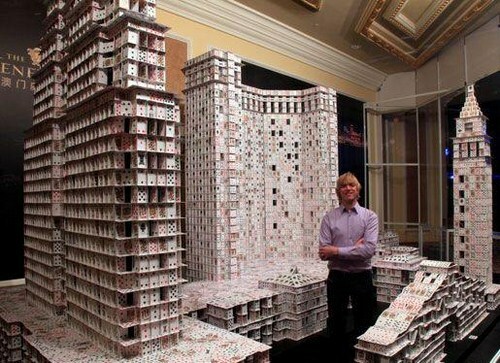 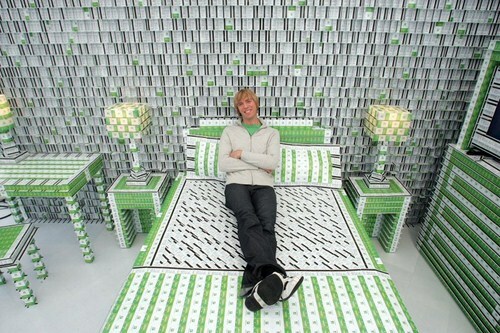 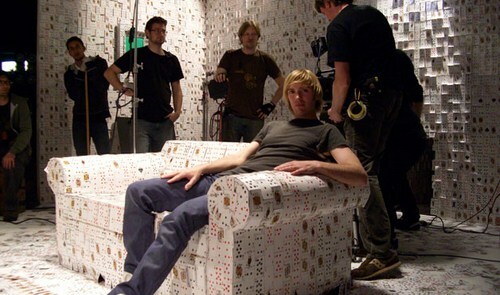 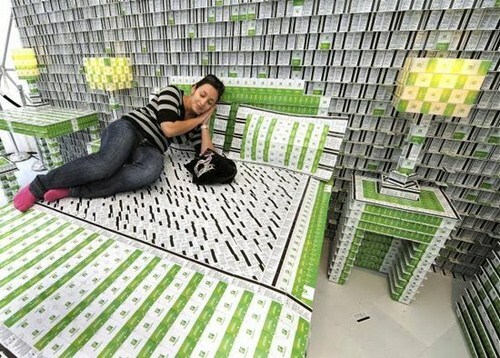 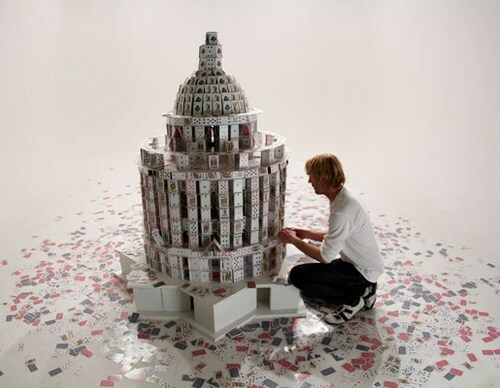 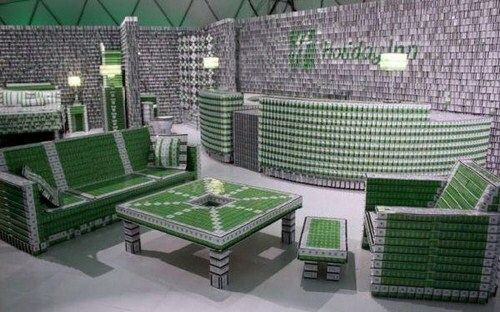 Guinness World Records also created a new category to recognize Berg's work in 2004, The World's Largest House of Freestanding Playing Cards. 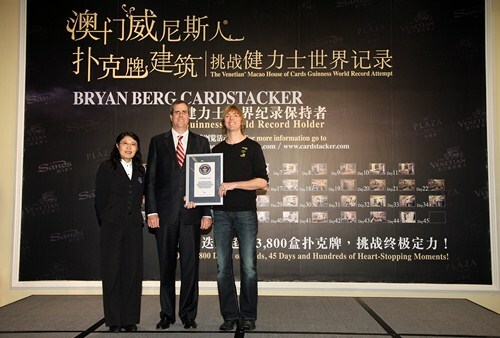 Commissioned to break his own records on more than a dozen occasions, Berg continues to hold both records.